Welcome to Absolute Collision Center. We provide quality auto body repair, restoration, paint, and detail services to the Los Angeles Area. We offer excellent service at reasonable prices, excellent quality repairs, fast repair time, and great customer service. We work with most insurance companies to get your car back on the road as soon as possible. Come by today and meet our staff and check out our many classic car restoration projects. Not often do you have a good experience when you are getting body work done but this place makes it a little less painful. I never got the pleasure of meeting Andy but i did get texts from him with pictures and updates on my car. Jose in the shop is awesome and the work they do is bar not worth 6 stars if i could give it. I took my 2010 silver Camaro in for rear bumper work. The price was competitive and glad i decided to take it to these guys. When i got the car back it was as if the day i drove it off the lot. As an added bonus to showcase the type of guys working here; my dad dropped me off and inquired with Jose about touching up some scratches on his Honda Accord. Without hesitation and with no regard to his busy schedule Jose went to the car, wrote down the paint number comes back and touches up the car’s scratches at NO CHARGE! I thanked him and slipped a $20 into his pocket which he did not want to accept. It’s small but the work they do is mighty. Highly recommend. 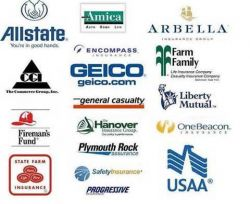 Allstate, Geico, Farmers, USAA, AAA, State Farm, and others.